Email marketing is a big business these days and it is one of the best way to promote your services,products or campaigns.Whether you own a big online business or a small one it is likely you have an email list you market to. If you don’t have a list you better start building one now because you are missing out. 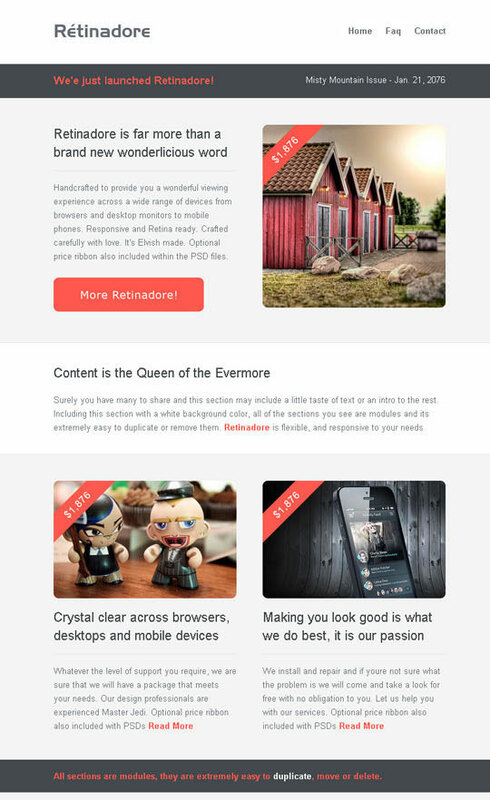 In today’s post we have gathered trendy flat style responsive email templates to market your online business.Here is the collection of 20 best flat responsive e-mail templates. Multi Usage Responsive Email Template is awesome and mordern template which comes in 12 color themes,10 layouts each, total 120 template pages. Flat Style and Multi Usage Responsive Email Template is awesome and mordern template which comes in 24 color themes,10 layouts each, total 240 template pages. 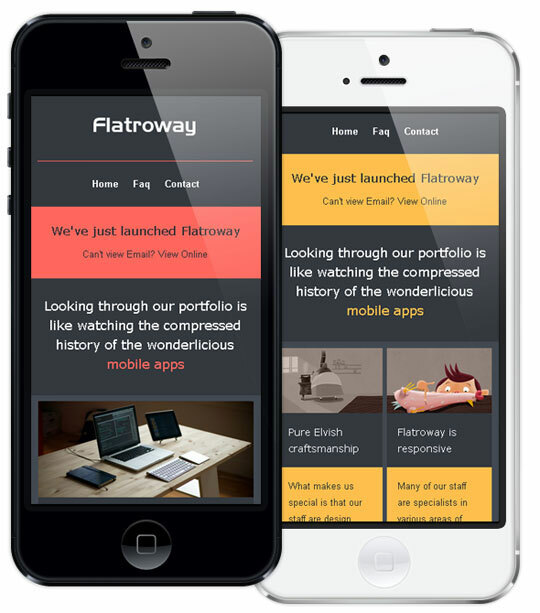 Flat Company is a responsive newsletter & template generator designed to give your email communications a modern, mobile ready look, as well as being fast and friendly to implement and infinitely customisable.Quickly and easily change the color and layout to suit a wealth of email communication needs. The mobile first design makes it ideal for businesses or individuals who want the best mobile user experience. Revenue comes with unlimited structures and colors and of course MailChimp compatible. 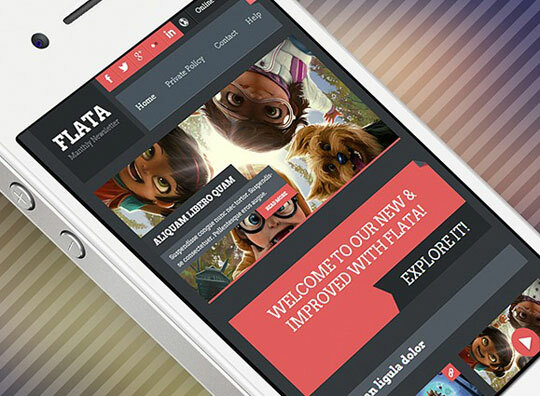 Flattr is an email built for companies, enterprises, businesses or freelancers who want to find a beautiful and clean solution to their email marketing needs. It’s Mailchimp and Campaign Monitor ready, and also built with both Responsive and Non-Responsive templates, so you can choose what suits your company best and promote with a very beautiful looking template which is certain to attract the attention of your customers and inquire their curiosity. 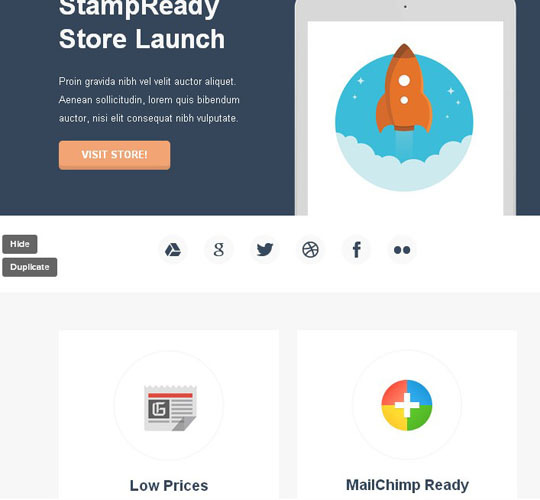 Flatmail is a “Flat style” and minimalist email templates. 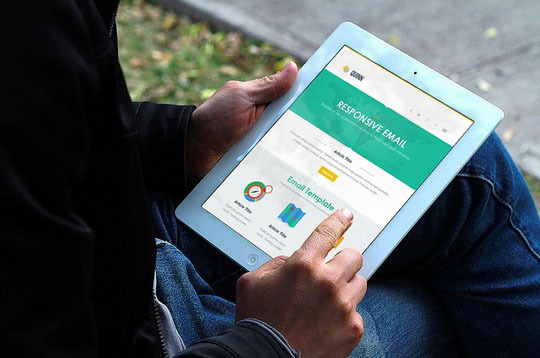 Flatmail is mobile friendly (responsive) packed with many variations of modules or layout that you can re-mix to create your own stunning email campaign easily. Flatmail comes in 5 different color schemes, that you can very easy to apply your own scheme. 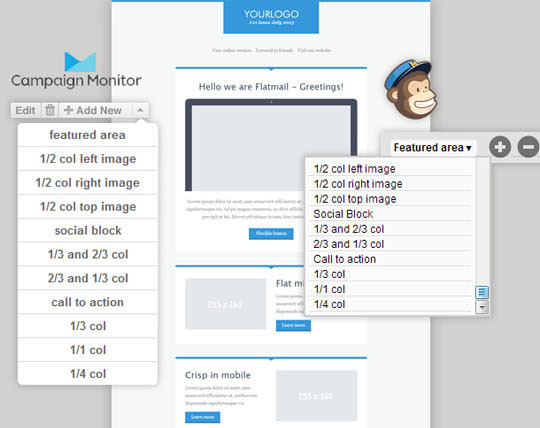 Flatmail also ready-to-use for MailChimp and CampaignMonitor with their powerful editor. 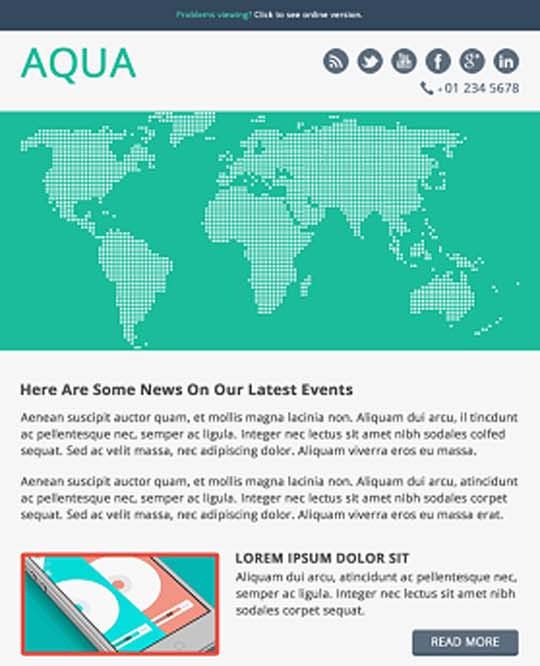 Aqua is an email built for companies, enterprises, businesses or freelancers who want to find a beautiful and clean solution to their email marketing needs. 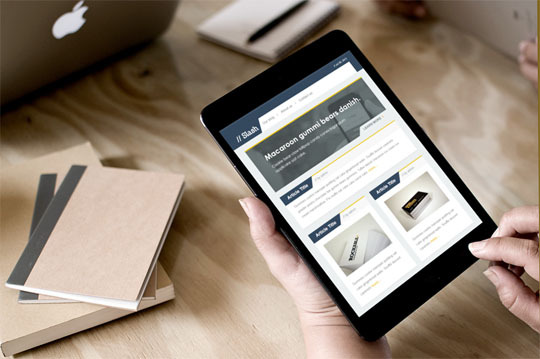 It’s Mailchimp and Campaign Monitor ready, and also built with both Responsive and Non-Responsive templates, so you can choose what suits your company best and promote with a very beautiful looking template which is certain to attract the attention of your customers and inquire their curiosity. 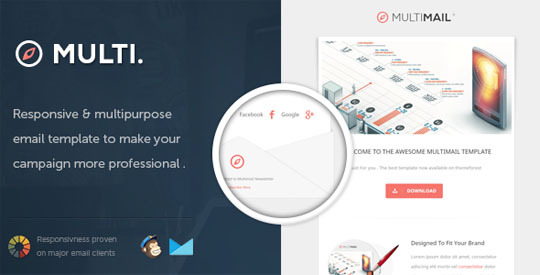 Flats is a set of professional email templates. 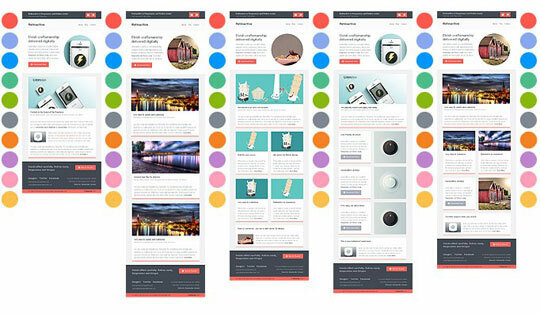 It has a distinct look and feel without all the extras and relies on a clear sense of hierarchy in the design and placement of elements to make successful projects easy for users to understand and interact with.Flat design is simple by nature and works well with an overall minimalist design approach.It was tested on every major email client and Inline CSS used for a full cross browser compatibility. Launcher is a modern minimal and flat theme which is multi usable for any work. 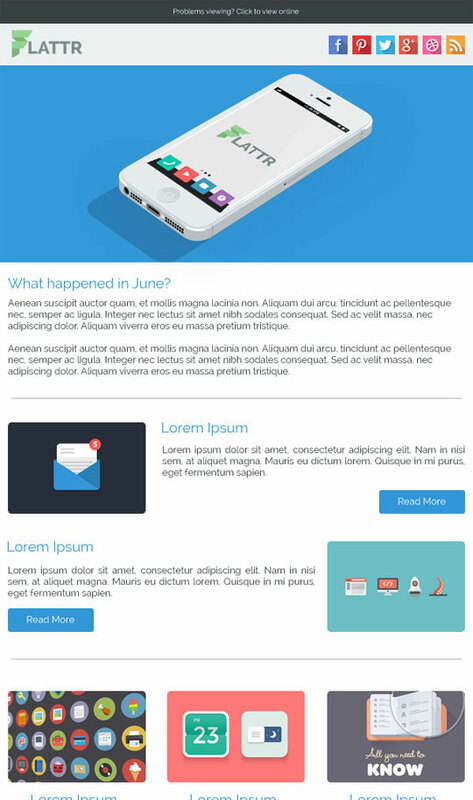 Quinn beautiful email template suite for your newsletter business or showing your products. include 2 style body layout (full width and Box style). with 14 difference module. 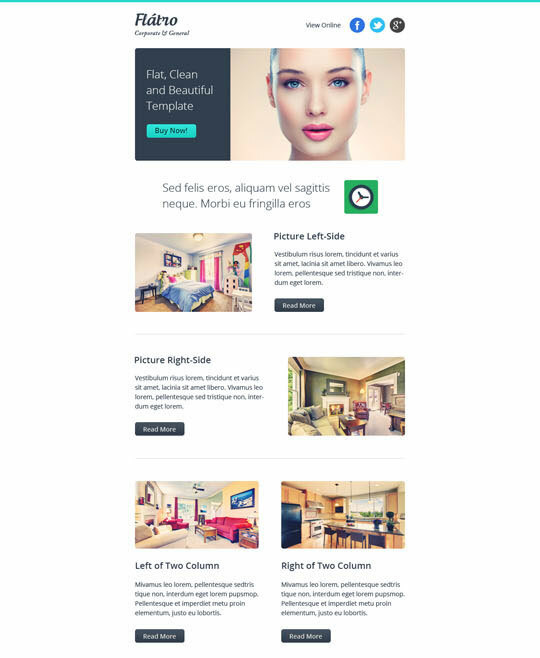 Besides plain HTML files, With Retinamore Responsive Email Newsletter Templates you have the choice to update your files by using Mailchimp’s template builder IDE, without touching any html code. Plain HTML versions with both Embedded and Inline CSS are still included for those who still in love with updating HTML code. 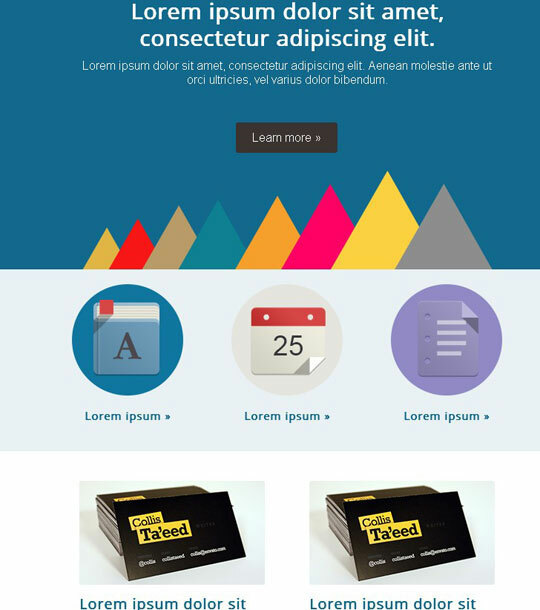 Flick a minimalist email template design with Flat ui style I’ve provide 2 style : Box and Fit layout style. however I’ve include an extra file almost flat design for those who are not interesting flat design it include a little shadow at the bottom. 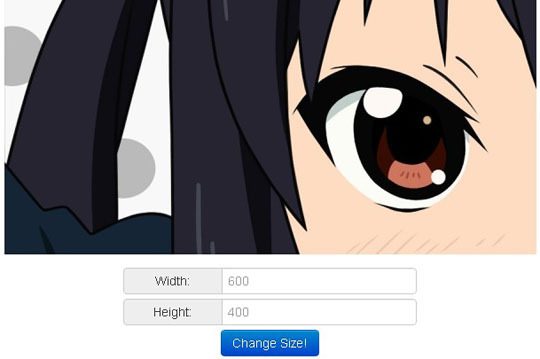 you can see the difference by viewing at the demo page available for the box layout only. 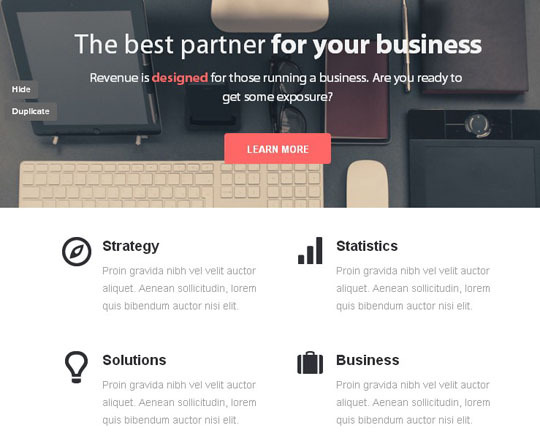 Flatro – A multipurpose corporate look email newsletter. It is simple, clean and trendy. 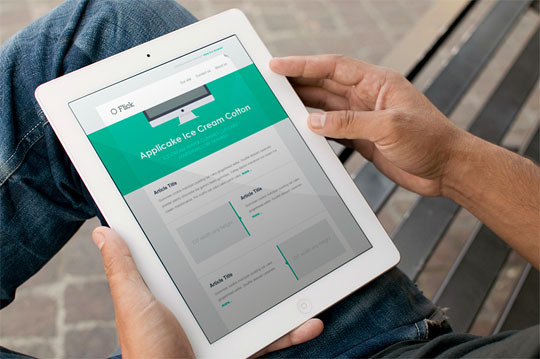 The responsiveness makes you easy to target all kind of audience and displays better in any device. Testing in MailChimp,Campaign Monitor and Thunderbird ensure that the templates are free from any display bug. Retinadore is far more than just being a wonderlicious word. 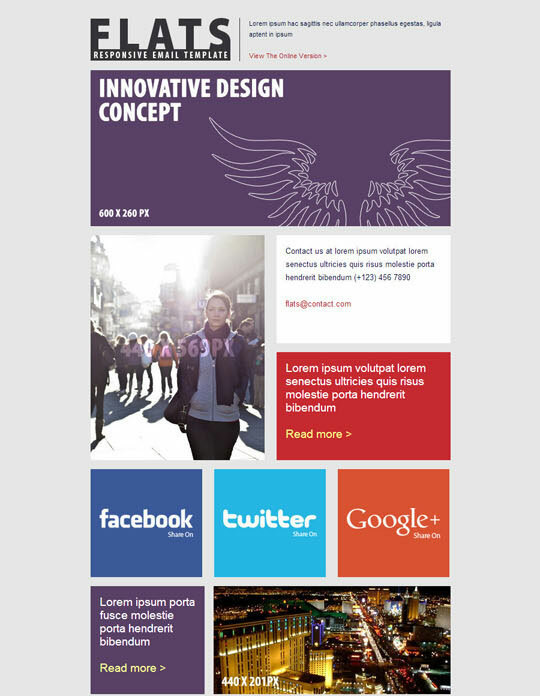 Unique, extra cool design meets Mailchimp Ready responsive email templates. Retinadore works perfectly across browsers, desktop and mobile email clients.You can test responsive email templates by resizing your browser. Tested throughly with mobile devices, and also tested with both Litmus email tester and manually for email clients on desktops and browsers. 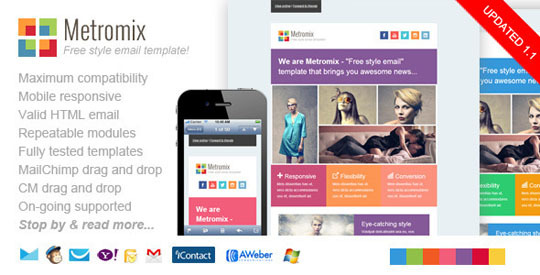 Metromix is a simple “free-style” email template built for multi-purpose of email marketing. 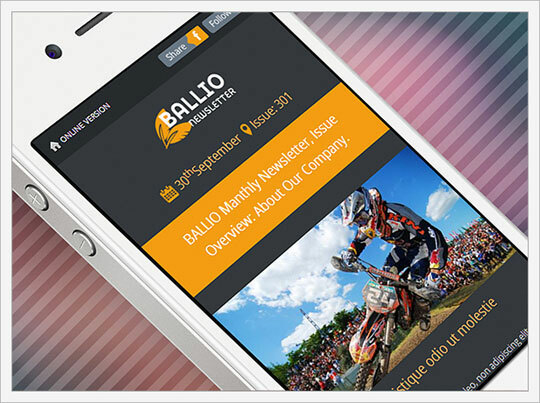 newsletter, products offer, business email, and more.. Metromix is mobile friendly coded with media query CSS to make it works smoothly in your mobile phones. Metromix packed with most powerful features and optimized coded that works awesome in all major clients, including mobile, desktop, and web based clients. Comes is 7 pre-defined color schemes and 1 mixed layout with flexible and 12 repeatable modules. 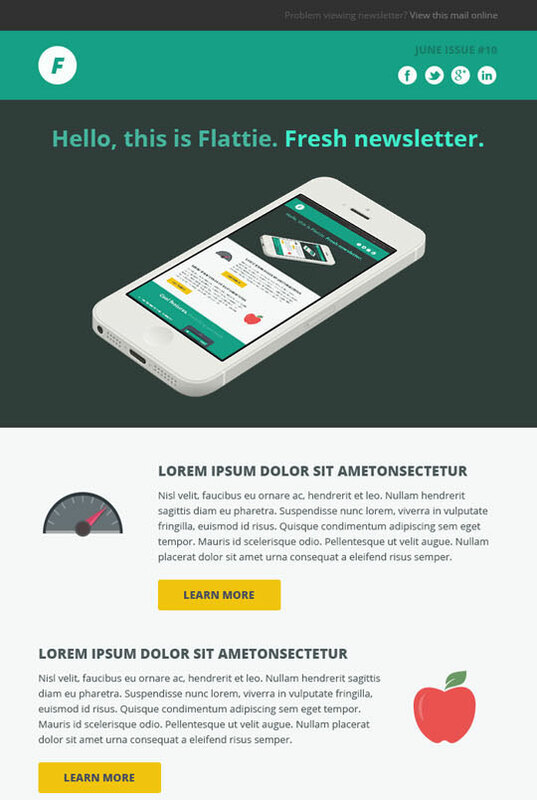 Unique, extra cool flat design meets Mailchimp Ready responsive email templates. 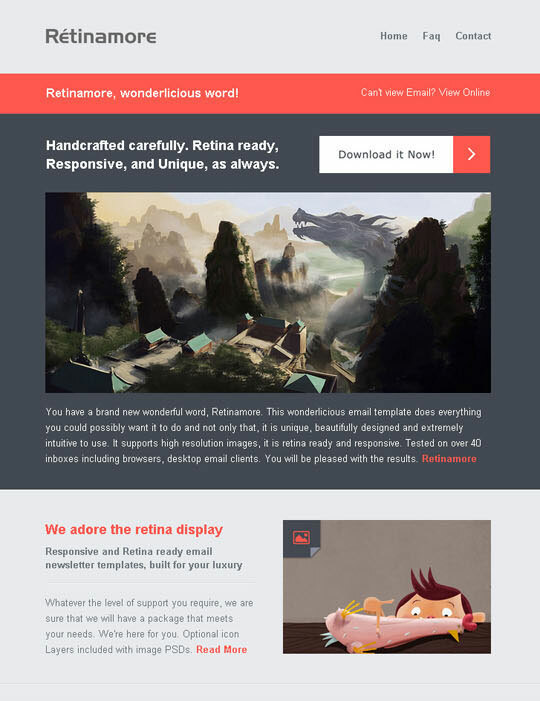 Retinactive works perfectly across browsers, desktop and mobile email clients.You can test responsive email templates by resizing your browser. Tested throughly with mobile devices, and also tested with both Litmus email tester and manually for email clients on desktops and browsers.